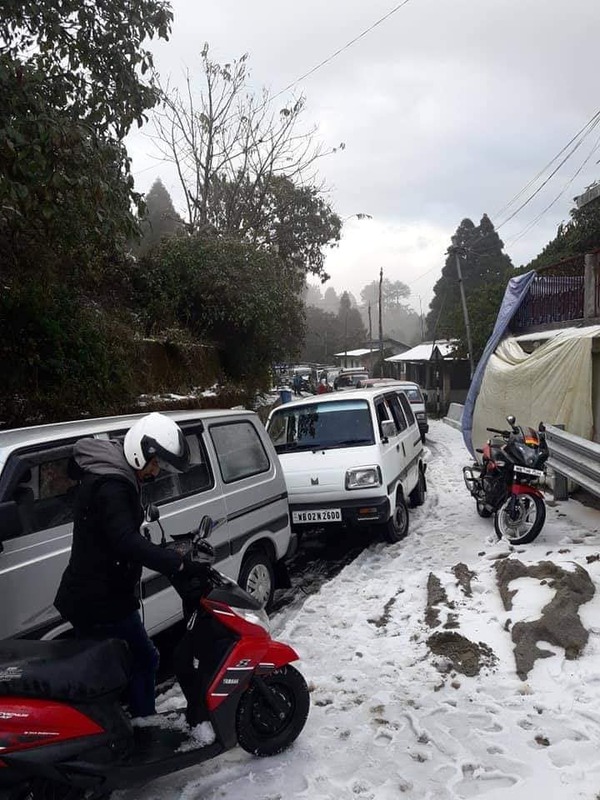 The first snowfall of the year has taken place in Darjeeling’s Sandakphu. 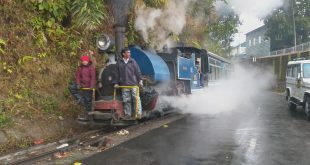 The tourists who were touring the hills was very happy with the snowfall. 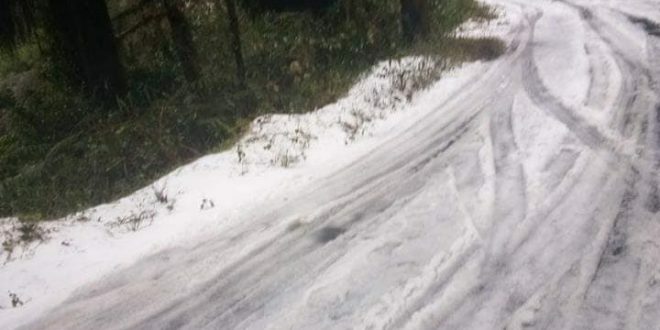 On Friday evening, the snow fell due to light fall of hailstones in most parts of the mountain. There are also possibilities of heavy snowfall. 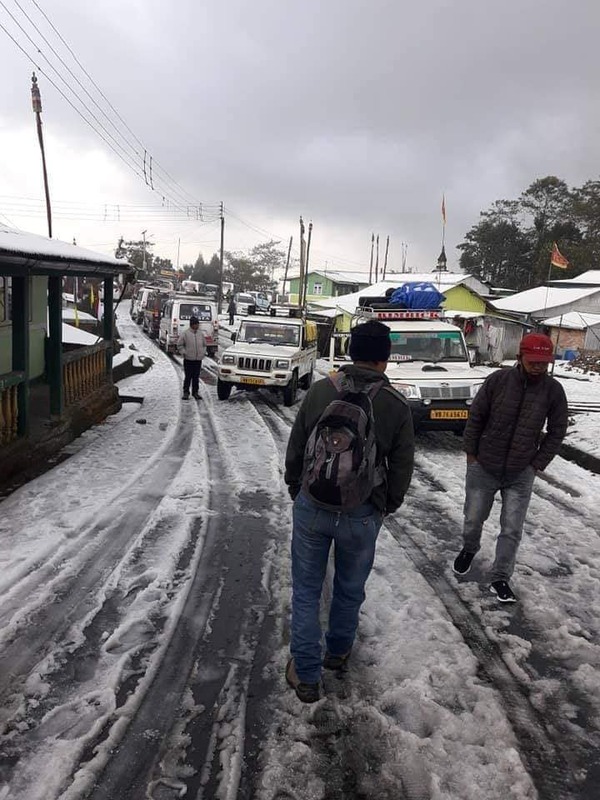 Meanwhile, Darjeeling, Ghoom, Jorbanglo, Sukhiapokhri and Mirik roads have been covered in snowfall.